Simply gorgeous! Leeshor is an incredibly talented artist and illustrator who creates truly beautiful works that drip with loveliness. 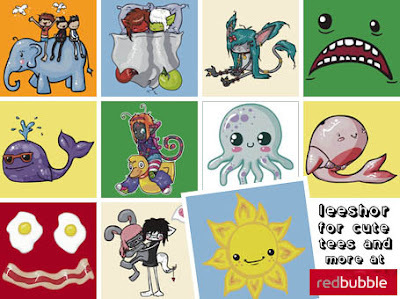 And at her RedBubble store you can pick up these adorable creations on t-shirts, kids clothes, and stickers. So the next time you’re looking for something to bring a little love into your life, you’ll know where to go, wont you?